Greetings and welcome to the village of cardington! 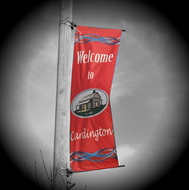 Cardington is an up and coming village with unlimited potential for growth. It is a small town where residents and friends take pride in their community. We have an excellent school system, a very active public library, beautiful parks for family activities, a community swimming pool, and tennis courts. Affordable automotive services, healthcare, dental care, banking, accounting, insurance, and commodities are provided by our friendly and caring local businesses. Please continue to browse our website for details on community living in Cardington. If you need personal assistance, please feel free to contact me at the Village Office. It is my pleasure to serve you!